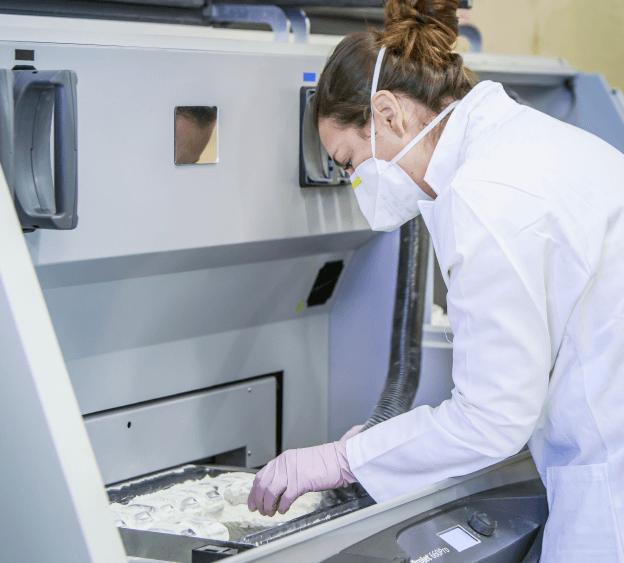 Save precious time and create truly comfortable solutions for your patient with custom-made medical devices thanks to additive manufacturing. Indeed, being patient specific is key when it comes to healthcare, and the 3D printing process is perfect to overcome this challenge. Many 3D printed medical devices can be made, such as hearing aids, prosthetis or prosthetic hands. Introduce innovative solutions by utilizing the possibilities offered with the 3D printing technology. From medical imaging (3D scan) or a 3D file, we can create unique, ergonomic and accurate products that will give your patient more comfort with more customized and adapted care. The range of medical devices that you can offer is no longer limited by manufacturing constraints (number of units, sizes, tooling). Personalized surgery becomes easy! Our white plastic materials are certified for a food contact, washable and resistant. Thus, our plastic 3D printed parts can be perfect for your patients or customers. Prosthesis, orthosis and medical tools: a revolutionary offer for the medical market. 3D printing and healthcare are strongly linked. The flexibility and reactivity needed to bring an idea to the first prototype and then to the first series in a very short time are brought by 3D printing technology. Producing prosthesis, orthosis, and other medical tools is not just for large industrial companies. 3D printing prosthetics, or using 3D printed implants, is actually becoming more and more common. Bringing disruptive solutions to the medical sector is now easier than ever. Without significant initial investment, we can 3D print your prototypes and your series to create a prosthesis or specific tools adapted to your particular needs. Our calibration and quality check processes guarantee you great results with costs considerably lower than using molding manufacturing processes. This is the perfect fit for prosthesis, orthosis and medical tools difficult to manufacture. Reduce the risks with educational tridimensional representations and pre-surgery training by practicing the slightest action on your 3D printed pieces. We 3D print your guides and anatomical representations in a few days based on your 3D file. With it you will be able to repeat the operation, to reduce the time of your surgery and limit your decision-making time; with our help, we’ll make you’re more than prepared for your operation. The plastic material and the flexible material are specially fitted to reproduce bones or organs. Our professional 3D printers allow you to get an accurate anatomic reproduction of the part on which you will perform the surgery thanks to a high 3D printing resolution (from 25 to 100 microns). From the medical imagery of each patient, or a 3D medical file databank, Sculpteo is able to 3D print your example for educational representations and pre-surgery training. Reduce the stock and production delay of your spare parts with the quick and reactive 3D printing manufacturing process. Sculpteo keeps your 3D files on an online platform, making them easily accessible to your clients or distributors everywhere and at any time to an order on demand. We produce mechanical articulated pieces of different sizes (up to 70 cm for one print) in order to limit the number of components you have to use in your medical device. The production of reduced concept models in color or in plastic is also a perfect tool to promote your offer and services to your clients from the medical field, and can also help you with product development. 3D printing anatomical models is also a common application of additive manufacturing. We're working with a range of full-color or monochromatic high-grade 3D printers that offer excellent accuracy (layer thickness from 25 to 150 microns), and build great 3D printed devices layer by layer. No need to wait until Monday morning to get a quote, do it online! Our exclusive 3D tools allow you to check the solidity of the walls and how details will render. Start enjoying our 3D printing solutions now! Anyone can benefit from additive manufacturing technologies, to enjoy various applications of 3D printing! There's no minimum order, we 3D print your model starting at 1 copy. If you are not in a hurry, we can offer you a cheaper price. We can prepare your 3D file on-request and take charge of the finishing steps (painting, display case...) of your medical equipment. 3D print medical devices easily, with great surface finishes, similar to other manufacturing technologies such as injection molding! Doctors, entrepreneurs, large groups, medical device companies… they picked online 3D printing! Sculpteo’s 3D printing services allow me to create ancillary tools or implant prototypes with an impressive turnaround time. The quality of the prints gives me the precision I need to perform better surgeries. 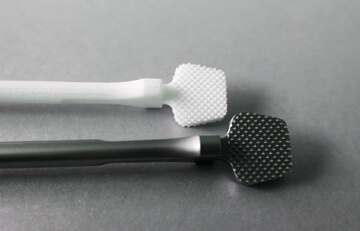 The ancillary tools realized in Nylon on SLS 3D printers by Sculpteo allow Marc Soubeyrand to give implants the best position during a surgery. The creation of made-to-measure surgical instrumentation, based on the medical image data (scans, MRI, etc) of the patient, enables a very precise approach in the surgical practice. The major upside for the patient is to know that the surgery is tailored for his needs and that it will result in higher comfort. SpineVision creates implants for the spine, and associated tools. 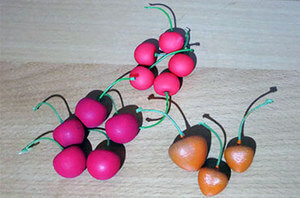 They use our 3D printing service to 3D print prototypes, both in plastic and in resin. They work with us to create tools for surgery and implants. They are so happy with our service that they renamed us Sculpteo the "R&D heroes"! 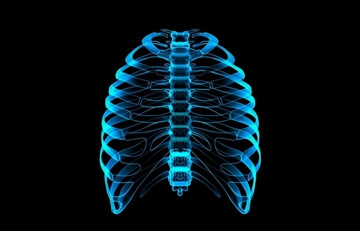 Some chest wall diseases require a reconstruction of the bone structure (sternum, ribs) which can be important. 3D printing can help to create custom-made prostheses which will not break, contrary to the traditional standard ones. That's why Dr. Olivier Pagès turned to us. Discover his story. 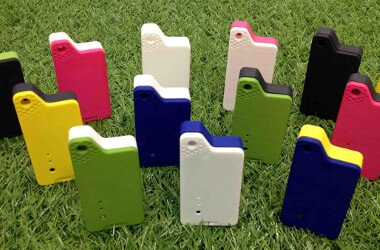 Giroptic is a successfully Kickstarter funded startup who printed a partially functional prototype to show their customers a full-scale version of the product. Ubudu is a start-up that proposes a tool for data acquisition in retail stores. They needed to prototype an electronic box at a reasonable cost. 3D printing perfectly answers this rapid prototyping need. In order to 3D Print, you need to send us a 3D file that you can easily design with a 3D modeling software (or CAD Software). For beginners, here's a list of free software and free tutorials. Also, read our blog to learn about the applications of 3D printing or the future of 3D printing. You can choose directly online your 3D print materials and your scale. Plastic, full-color material, resin, alumide, metals... the choice is yours! Our online platform is easy to handle for anyone, both designers and engineers, for instance. We deliver your 3D printed prototypes or finished goods at the place of your choice so you can make unique architectural models! Items are usually shipped 48h after your order. Looking for some advice on finishing? Have a look at our tutorials about painting and finishing. 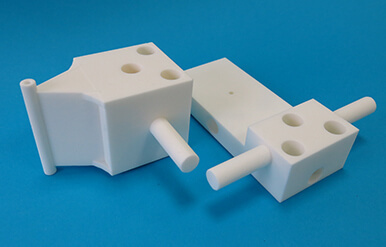 Your medical model and your prototypes can be printed in more than 50 materials and finishes. They include our plastic material with multiple polishing options and colors, our resin and transparent resin, our multicolor material and different 3D printing metal options like sterling silver. To get your 3D models, you just need a CAD software, a 3D scanner, or medical imagery data. 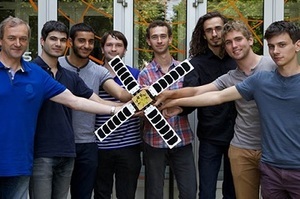 Our team is here to support you in the 3D printing of medical devices. Thanks to our unique technologies, you are able to analyze and repair your 3D file in seconds, review the solidity of the future 3D print and even hollow the inside of the model to make it cheaper to print. They will help you become the next leader of the medical devices industry.Through a vibrant community, our support and all the resources we produce, we are here to give the best advice to use the latest 3D Printing technologies and save your time. Our blog highlights many case studies, the best 3D printing news, and provides deep industry-specific analyses. Upload a 3D file and get free analysis + instant quote for your medical applications!